Machining fibre-reinforced plastics and wood products releases large amounts of chips and dust that need to be reliably extracted. Conventional systems of extraction often fail in this task. Fraunhofer IPA and Schuko developed a new approach that combines blowing and extraction and enables maximum collection rates — even for 5-axis machining. 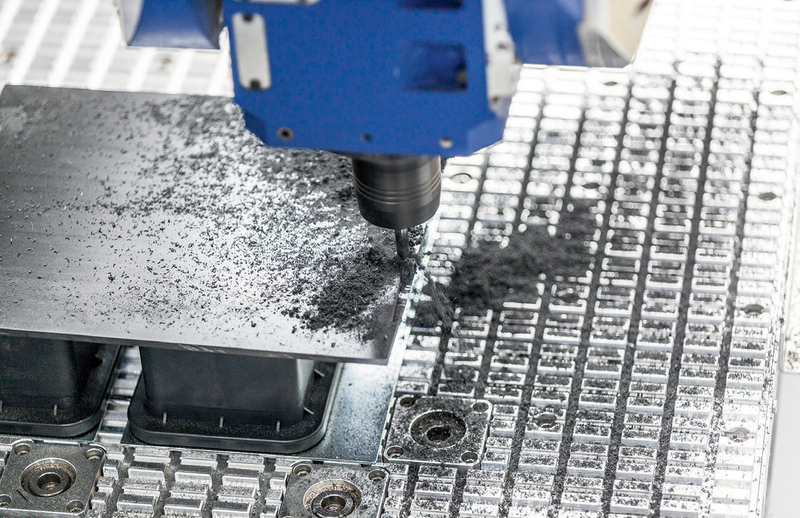 Machining is an essential step in the value chain when manufacturing components from fibre-reinforced plastics (FRCs) or composite wood products. Despite near net-shape production, FRCs often require edge trimming to remove resin protrusions and to meet dimensional and form requirements. Further processing steps include drilling and cutouts as well as preparing fitting surfaces [ 1]. The investigations described here were undertaken as part of the project “Development of an energy-conserving and particulate-reducing dust extraction system for machine tools processing wood and plastic”. The research project was supported by funding from the German Federal Ministry for Education and Research (BMBF) as part of its “Central programme for Innovation for SMEs” (ZIM) under the funding code KF2916810DF4. The installation of the pilot plant at Polytec Composites Germany was undertaken with funding from the ReTech-BW programme, which is supported by the State Ministry for the Environment, Climate and Energy Industry of Baden-Württemberg and coordinated by Umwelttechnik BW. 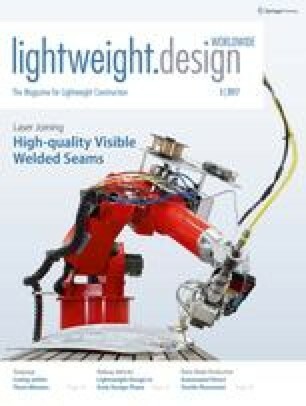 Special thanks go to Leichtbau BW GmbH for making this article possible.